The Undergraduate School coordinates and supervises the three-year Bachelor of Science programs, and the World Bachelor in Business, a four-year Bachelor program developed in partnership with the Marshall School of Business (University of Southern California) and the Hong Kong University of Science and Technology. Studying for a Bachelor of Science at Bocconi means becoming part of an internationally recognized community established through decades of excellence in teaching and research. A community that extends worldwide thanks to our strong relations with companies and institutions around the world. 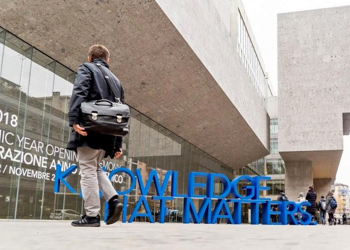 Our new payoff “Knowledge that matters” underlines Bocconi’s ambition to continue growing as a purposeful knowledge maker and to contribute to the development of society. Cutting-edge knowledge that faculty members foster through their research is brought back into the classroom, cementing academic standards that are a stepping stone to exciting career opportunities. Bocconi indeed opens up your talent. Building on our reputation in the fields of economics, management, finance and law, we have recently launched innovative programs in the fields of political science and data science, both at an undergraduate and at a graduate level. Our modern campus is located at the heart of Milan, a cosmopolitan and vibrant city where young people from all over the world come to live and study. Here you will join students and professors of more than 100 nationalities, and you will grow and learn in a rewarding and stimulating environment. Students interact with faculty in class and through group projects, while optional internships offer hands-on experience. Furthermore, you will have the opportunity to participate in several study abroad programs with over 270 partner universities worldwide. Going to university is about more than just academics: Bocconi and Milan also represent culture, sports, arts and debate, making university life exciting and pivotal for your personal and professional growth. All of this is designed with two goals in mind: to provide you with a solid education and a meaningful personal experience. The status that this university enjoys around the world derives from our ability to support you as we pursue these goals together.